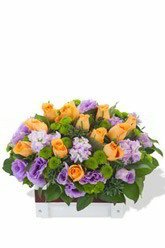 Our Prettiness floral arrangement is a stunning combination of short stemmed premium roses complemented by mini Button Poms and Matthiola Stocks. 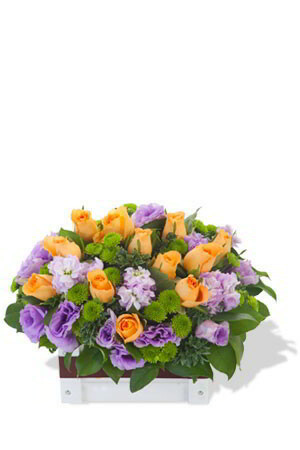 These flowers are delivered in a stylish box. Recipient sent us the photo. It looks much better than we have expected. "Totally gorgeous flowers" was the comment received by our daughter who received them. Excellent, east to use website with good selection of flower arrangements & prices to suit every occasion Would definitely recommend. Recipient is happy- nice flowers & punctually delivered. Website difficult to complete when you do know the area in HongKong for the hospital and the postal code. From my understanding Hong Kong doesn't have postal codes. In the end I put in the H K phone code. Everything from beginning to end was to my satisfaction.